Coming in twelve distinct sizes, the 654 Ringo Dining Table is the perfect solution for any modern styled dining room. 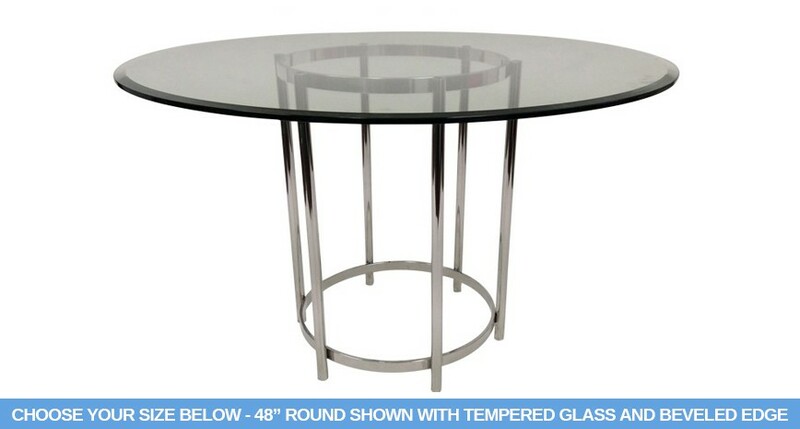 With a sturdy stainless steel base to rest on, each top is made from high quality 1/2" thick clear tempered glass with a 1" beveled edge to ensure safety. Assembling and adjusting your table is a cinch, because each purchase comes with free bumpons and levelors included. With so much going for it, the 654 Ringo Dining Table is truly the smart choice when it comes to modern styled dining rooms.